Many academics around the globe, driven by a desire to use their accumulated expertise to improve the world, have long sought to achieve what is now known within higher education management as ‘impact’. A new surge of activity, however, has arguably been unleashed in some countries in recent years. Universities and academics have been pressured to prove their social, cultural and economic value in an age where many governments world-wide are engaged in austerity agendas. This has fed into changing management structures within higher education. 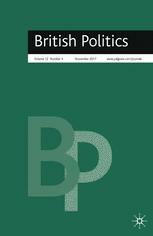 Following an excellent conference at Warwick University, a special issue is due to appear in the journal of British Politics. The abstract of my contribution is below. The paper has now published online here (the pre-print version of which is available to download here). Abstract: Pressures have increasingly been put upon social scientists to prove their economic, cultural and social value through ‘impact agendas’ in higher education. There has been little conceptual and empirical discussion of the challenges involved in achieving impact and the dangers of evaluating it, however. This article argues that a critical realist approach to social science can help to identify some of these key challenges and the institutional incompatibilities between impact regimes and university research in free societies. These incompatibilities are brought out through an autobiographical ‘insider-account’ of trying to achieve impact in the field of electoral integrity in Britain. The article argues that there is a more complex relationship between research and the real world which means that the nature of knowledge might change as it becomes known by reflexive agents. Secondly, the researchers are joined into social relations with a variety of actors, including those who might be the object of study in their research. Researchers are often weakly positioned in these relations. Some forms of impact, such as achieving policy change, are therefore exceptionally difficult as they are dependent on other actors. Strategies for trying to achieve impact are drawn out such as collaborating with civil society groups and parliamentarians to lobby for policy change.